For the last four years professional skateboarder Renton Millar has been visiting the Top End to see the local skate community flourish. 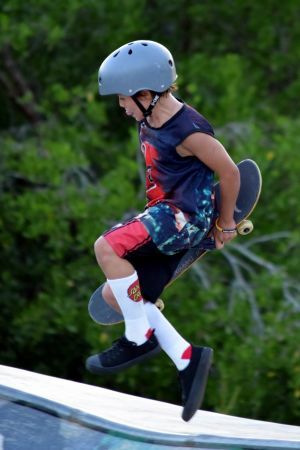 Millar will be back in Darwin for the annual Street Heat competition to see what tricks Darwin skaters have up their sleeves this year. “I came up for the opening of the Jingili Skate Park and saw a lot of kids pick up boards for the first time,” he says. “Each time I come back they just get better and better. While the Street Heat competition is a good chance to win some bragging rights and prizes, Millar says it’s more about having a good day with friends. “It’s a celebration of skate culture and hanging out with your mates,” he says. The competition is open to entrants of all types - quads, BMX, scooters, and skateboards. There will also be a pre-heat skate jam at Leanyer Skate Park the night before the big competition.